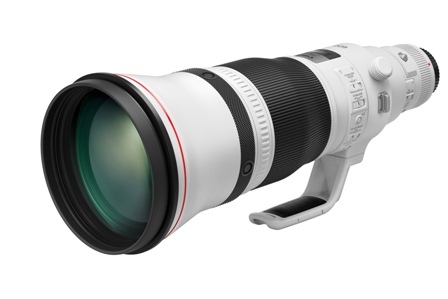 HONG KONG, 07 June 2018 - Canon today announces the launch of two new telephoto zoom lenses, the EF 70-200mm f/2.8L IS III USM and EF 70-200mm f/4L IS II USM. The new lenses serve advanced amateur and professional photographers in a variety of applications and solutions including wildlife, landscapes, portrait and sports photography. With its renowned optics utilizing one fluorite and five UD lens elements, the EF 70-200mm f/2.8L IS III USM has a significant improvement in anti-ghosting and flare performance by the newly added Air Sphere Coating (ASC). 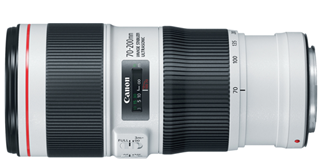 Users can count on the revamped EF 70-200mm f/2.8L IS III USM lens to deliver exceptional optical performance under challenging lighting conditions. 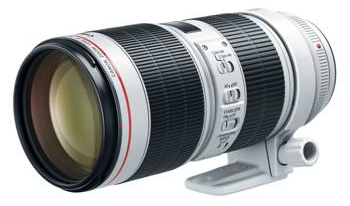 The EF 70-200mm f/4L IS II USM lens features numerous updates over its predecessor. The Optical Image Stabilization is upgraded to 5-stop shutter speed1 and allows photographers to easily capture crisp, in-focus images without the use of a tripod. 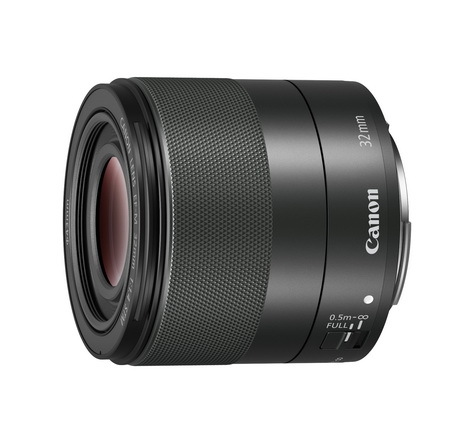 The new lens also features IS Mode 3 and shortened its minimum focusing distance to 1m with 0.27x maximum magnification. 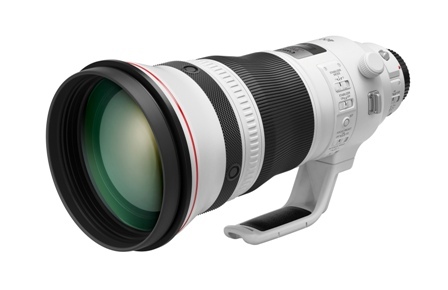 The official sales dates and suggested retail prices of two new telephoto zoom lenses will be announced later. Canon Inc. (TSE:7751 / NYSE:CAJ) was founded in 1937 in Japan. Its predecessor, Precision Optical Instruments Laboratory, produced Japan's first 35 mm focal-plane-shutter camera “Kwanon” in 1934. Canon Inc. eventually expanded into the photocopying and printing industries, launching Japan's first plain-paper copier NP-1100 in 1970 and the world's first inkjet printer BJ-80 in 1985. Through the years, Canon Inc. has acquired in-depth experience in digital imaging product manufacturing, and research and development. It i s a leader in the development of innovative products and holds the most technology patents in the imaging industry. 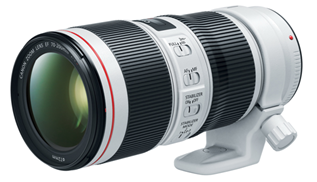 Canon Inc. also makes a significant contribution to the promotion of photography. Today, Canon Inc. has a strong global presence and is one of the most important market players in the imaging, office and industrial product categories. As of 31 December 2017, Canon's global revenue was US$36.1 billion. One of the company’s first offices in Asia, Canon Hongkong Co., Ltd. (CHK) was established in 1971. It is responsible for the sales, marketing and after-sales services for all Canon product lines in Hong Kong and Macau. CHK adheres to Canon’s corporate philosophy of “kyosei”, which encourages the company and its staff to participate in social, charitable and environmental activities in the community. CHK implements internationally-recognized management systems and has achieved ISO 9001, ISO 14001, ISO 27001 (Canon Digital Production Center) and OHSAS 18001 certification. For more information about Canon Hongkong, please visit our website: https://hk.canon.